Thinking Of Getting Engaged in Derby This Christmas? Isn’t Christmas such a fabulous time of year? There’s just so much magic and happiness about that it’s no wonder why people choose to get married, pop the question and generally find any excuse to have a celebration around now. According to recent reports, Christmas Eve is actually the most popular time of the year to make a marriage proposal. Yes, you heard right, it’s even more popular than Valentine’s Day! Why get engaged at Christmas? There’s no beating the excitement and sparkle that’s already around at Christmas time, so make it one to remember. The chilly weather has to make it the most romantic time of year, because it’s a great reason to cuddle up together – especially if it snows! There are loads of romantic things going on in the Midlands, such as festive displays, sleigh rides, ice skating, festive theatre, Christmas markets – all sorts of lovely things to see and do together. If you want it to be a family occasion, you can be sure everyone will be there. Christmas is a great time of year to do anything romantic and, if you want to do the most romantic thing of all and propose to your beloved, then there are loads of ways to do it around now. Ideas can include taking a romantic sleigh ride, writing the proposal in sparkling fairy lights, popping the question under the mistletoe, wrapping the ring up in a large box under the tree, or making it into a special decoration to hang from the tree and be found on Christmas morning. All of the magic is in the planning, so make sure you give some thought to how, when and where you’ll do it and it’s guaranteed to get a great response! Make Sure You Look for Your 2017 Caterer! Once you’ve done all the proposal planning and it’s been as magical as it can be (and, of course, you’ve received the answer you were hoping for), then it’s time to curl up together and start dreaming of how you’ll have the most fabulous wedding. 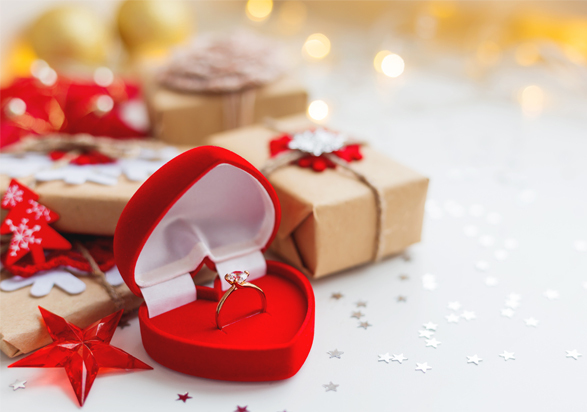 We love a Christmas wedding, and if you chose to pop the question at Christmas time, then maybe you might like to follow in the same tradition for your big day. 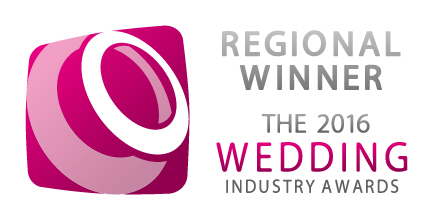 However you do it make sure you look for your 2017 caterer well in advance! Enjoy Your Christmas & New Year From The Derby Kitchen! As we get mega excited for all the amazing parties, events and festivities that are coming up in the next week or so, here at the Derby Kitchen, we hope that everyone we’ve had the pleasure to work with this year has a fantastic Christmas and New Year too. Looking forward to seeing you in 2017!